This photo is of a pair of Thylacines, a male and female, received from Dr. Goding in 1902. The Thylacine (Thylacinus cynocephalus) is a large, carnivorous marsupial also known as the Tasmanian Tiger or Tasmanian Wolf. It is now believed to be extinct. 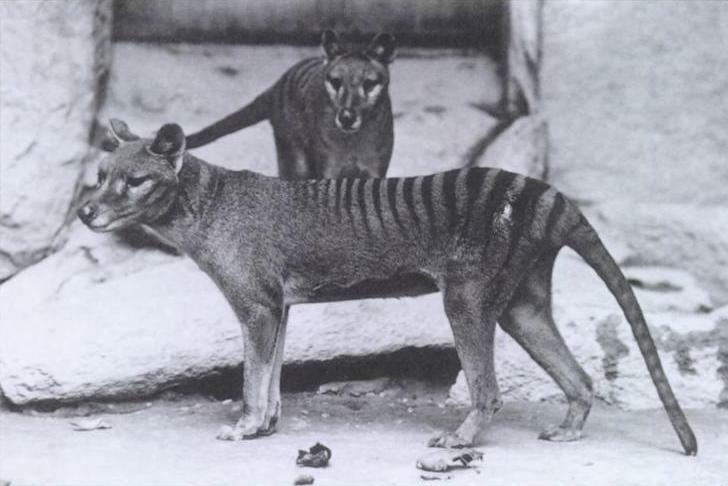 This photograph of a zoo specimen is important in recording the history of the zoo's collecting, and in some cases, such as this image of these Thylacines, they show species that are now extinct. The National Zoo opened in 1891 in an area of Rock Creek Park in Washington, D.C.